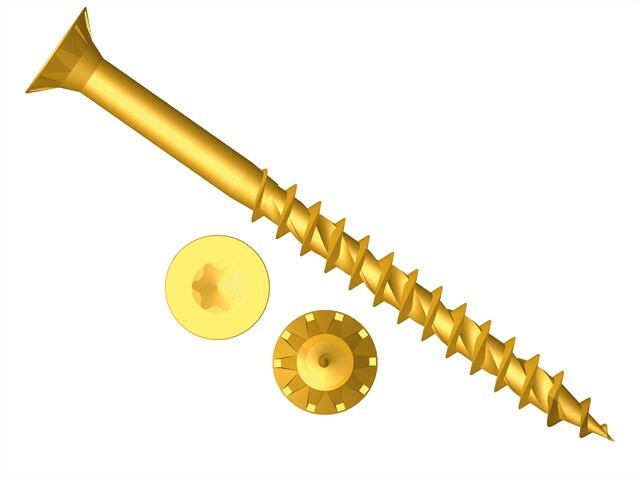 ForgeFix ForgeFast Wood Screws have a universally accepted, Torx® compatible drive. Their recessed ribs provide improved countersinking and reduced surface dust, and their reinforced countersunk necks improve holding power. The screws have a patented drill and drive thread for reduced splitting of the timber, reduced 'jacking' and spinning of joined timber, increased pull-out and a firmer fix. A sharp point provides faster bite and is capable of piercing 0.8mm steel. The screws are suitable for interior use.